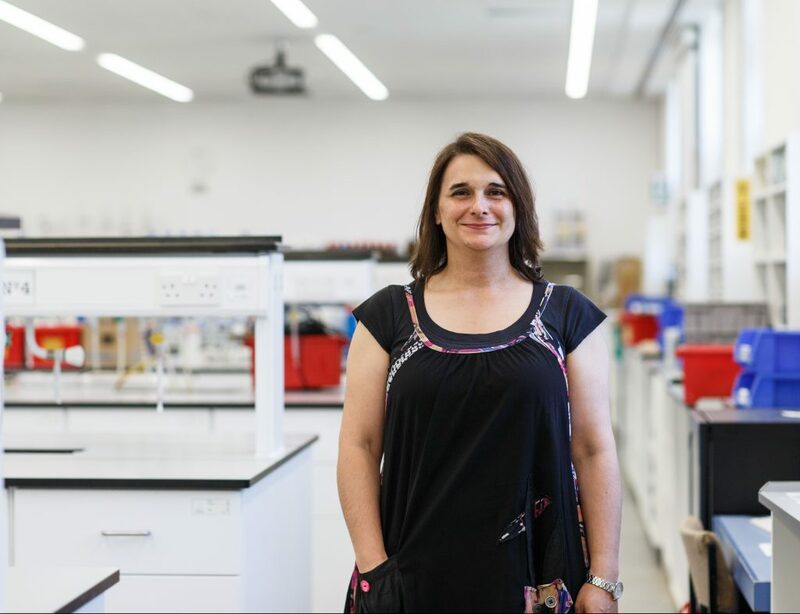 Dr Silvia Ramos answers our questions as part of the ‘Meet the Staff’ series – as well as some extra ones about her experience of being a woman in STEM in celebration of International Women’s Day. Meet Dr Silvia Ramos, Senior Lecturer in Materials Physics and Director of Graduate Studies for the School. The challenge of understanding the world around us. Every time we take a substantial step forward, we open a new set of questions. So much to do! Also the will to train the next generation of scientist that will continue the work in years to come. That is difficult. All of them, I think! There is fascinating research going on in the School in several areas. I guess personally, I would like to see breakthroughs in my area of quantum materials. I was attracted by the coexistence of complementary degrees under the same roof. In fact, I have taught in Physics, Chemistry and Forensics. There aren’t many places where one can do that. I learn everyday from my colleagues working on all three degree streams too. A highlight in my teaching happens every time I look at one of our student and I can see their satisfaction when, suddenly, they realize they have understood a difficult concept. It is the fascination of discovery. It happens to all of us when we understand something for the first time. It might not be new to the world but it is new to us. Teaching bring many opportunities to see that and it is great. I am a very curious person, I would like to know about everything! I have a happy family and a happy daughter. Not sure I would say it makes me proud, but it certainly makes me happy. To have a career in academia. It is not an easy path, but I have never regretted it. It is a beautiful city, very lively. I like the fact that you can walk to most places. Also, there are more hours of sun here than anywhere else I have lived in in the UK. I like the early scientists, the ones that were helping define what the scientific method was (for example Galileo or Gauss). Also the scientists involved in developing quantum mechanics at the beginning of the 20th century. It must have been a really exciting time! I would say I have chosen not to let them affect me. But resilience has come in handy on a fair number of occasions. In terms of my personal life, my husband is a scientist too so he knows the pressures and challenges. That has helped a lot. I can see them starting to act at a very early age. Young girls have to develop in an environment where prejudice about what is “suitable” for a woman can show in very subtle ways and unexpected places. The consequence is that their confidence is eroded before they have a chance to develop it. My daughter is 7 and it is a constant fight. 15. Do you think there are any advantages to being a women in STEM – or do you feel there is no difference? I do not believe there should be any advantages. I do not believe there should be any barriers either. But I would not say there is no difference. I think we need to aim to be in a position when that question is irrelevant because we know that, regardless of the number, the ones that are doing this type of jobs will have chosen freely and will have competed in a levelled field to get there. I think it is a complicated chance because it is a cultural change. We need to provide role models since an early age. And we need to expose all children to them, not just the girls. 18. Do you think that SPS/ the university helps to create an all- inclusive environment and has in any way helped you overcome challenges associated with being a woman in STEM? Thank you Silvia for taking the time to answer our questions!